Once I proposed an exhibition idea together with a friend to a newly opened non-profit art space. Its director was a young man who got the funding from his father. I’m sure he would have said yes, if it hadn’t been for his assistant, who was acting up like a queen. We had a meeting and everything seemed to go well until she arrived, late of course, as all important people do. She didn’t bother to rush to our meeting but first had a conversation with some other people visiting the gallery. Then she sat down and told us straight away she wanted “outrageous” exhibition ideas. Her idea of “outrageous” was to do an exhibition which had, for instance, Madonna in its title. A few years later the non-profit space was turned into a profit space. 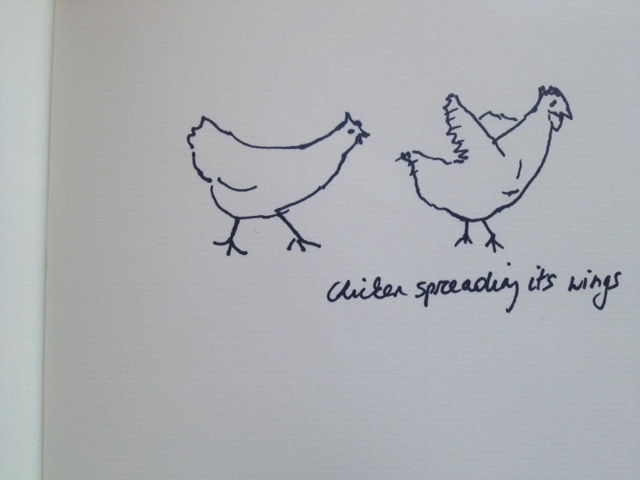 This seemed unnecessary if your funding is secured, but maybe the chicken wanted to spread his own wings? A few months later it turned into a non-profit space again. Profit is hard work. This comment is of course a constructive provocation. Profit for the small gallery or the small no profit organization is perhaps not possible when there are bigger queens about than the one who supported the "outrageous approach"innocently believing that outrage was all it would take. I am constantly told insiders'stories of and about various galleries ' management, their contracts with artists, their profit, their investments and the figures flying about in these accounts suggest at times "other" funding sources than regular ordinary profit.But beside this aspect of things, above all, those figures suggest a market that more and more bypasses the regular ordinary citizen, even a well endowed one, frankly winking ONLY at collectors. So the humble, and un-queenly question is: is it really possible today to discuss profit in the art market or should we discuss the different sorts of possible profits? should we contemplate that perhaps there are different kinds of markets? the system is obviously in a crisis and we seem to refer to it often as a "whole" that whole is not.thanks for your blog An! ha! I like constructive provocations, and even more un-queenly questions! I like how you put it "a 'whole' that whole is not". So right (and also gertrude stein sounding!)! Looking forward to discussing this further in an Italian setting soon!